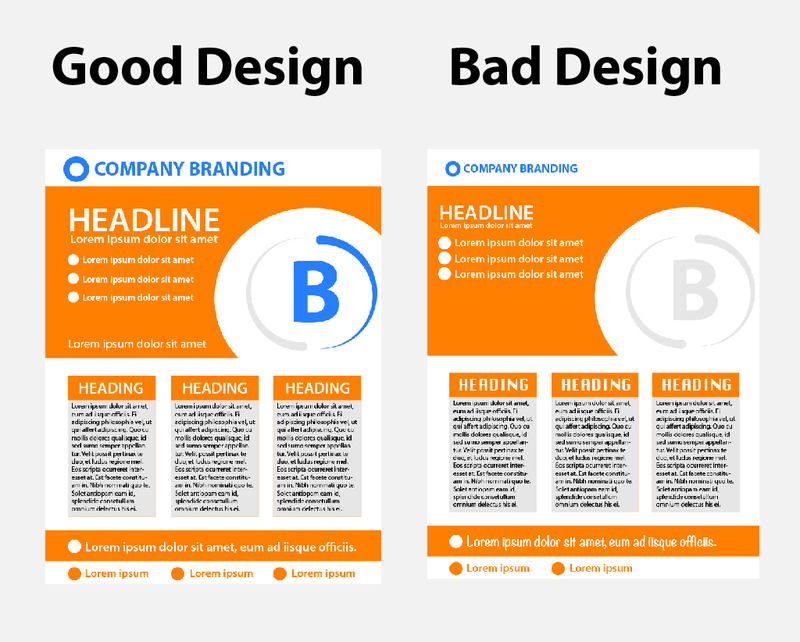 Graphic Designer Dane Bliss says “A good design will communicate both visually and verbally effectively while bad design leaves one or the out”. Whether you own a company or work on a marketing team hiring a Graphic Designer is something that you should greatly consider. This is due to the fact that a Graphic Designer can create assets that will help promote and potentially sell more of the product or service that you offer. Although, the one thing that you have to remember is that all designers are not the same. 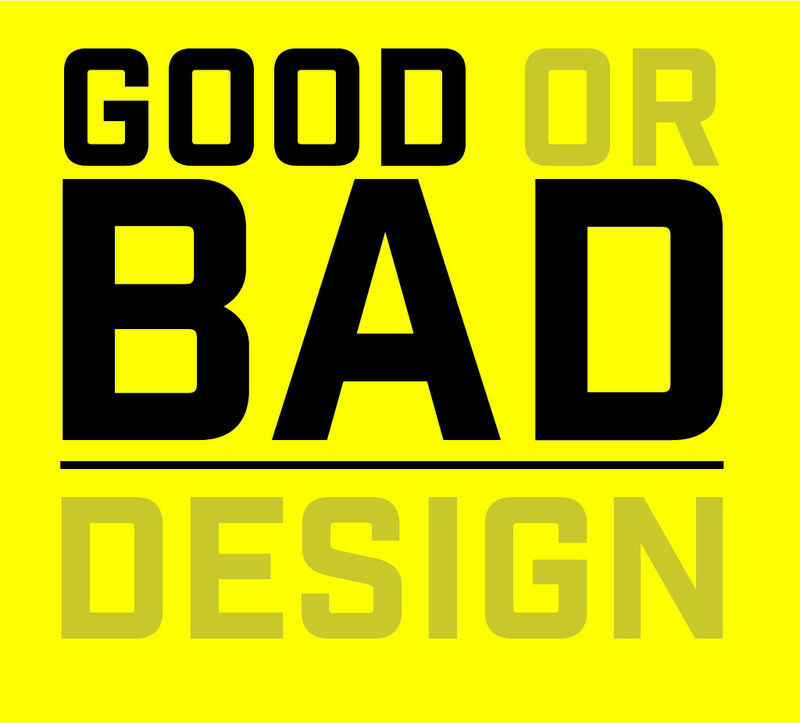 Some designers specialize in different things which means that you must know the difference between good and bad designs. A good design is something that most people take for granted and don’t truly appreciate until it isn’t there. If you are going to hire a graphic designer you need to be able to tell if their designs have a few key elements. The first, is if the designer’s have a good balance between each of their elements so that the final design looks and feels complete. The second, is that the designer’s proportions have to be correct, the last thing you would want is for an element that is not that important to stand out more than something that you want to be seen. With that being said, that leads me into contrast. If a designer does not bring contrast into his or her designs it is almost guaranteed that a design will not be successful. Contrast is what is going to bring interest to a design and keep it memorable when a potential customer sees it. A bad design is something that is hard to miss. This is because if one of the three key design elements (balance, proportion, contrast) are off something will not sit well with you. You will be able to notice that your eye does not go to the key elements, or a color vibrates off the background. Now as a business owner or marketing team you need to decide what kind of designer you are going to need, either a freelance designer or if you want to bring a designer onto your team. First, you need to know the difference between the two. A freelance designer is a designer that you can hire on a job to job basis and would not be a permanent part of your team. They are considered a short term commitment, while hiring a designer to become apart of your team is not. This would be someone you would have on your payroll that you would have do all of your design work. Each designer has their benefits depending on your needs. If you are a small business and looking to have a flyer made every once in a while a freelance designer is the way to go, but if you are constantly putting out ads and looking to create and maintain a website, hiring a designer to be part of your team may end up being cheaper for you in the long run. With that being said, truly take the time to consider what it is that you are looking to do with you company and brand in the future. If you decide that you want to grow and have an opportunity to sell more of your product or service, then you will have to find a designer that fits your personal needs. Remember, just because someone gives you a great price does not always mean they are going to be your best option, always take the time to look at their work and see if it fits your needs. Very helpful. Thank you so much I’m starting my design company. DayOne Design. Both my dad and my uncle worked hp HP back in the glory days. They worked as graphic designers for decades then art directors. Again thank you. Im glad I could provide you with some useful information! If you need any help or have any questions feel free to message me, and I will help in anyway possible. Thank you for taking the time to read my blog!